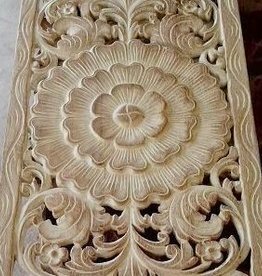 Wall panel Design LOTO, authentic wooden carving | Simply Pure - simply pure. Looking for an exotic eyecatcher for in your house? 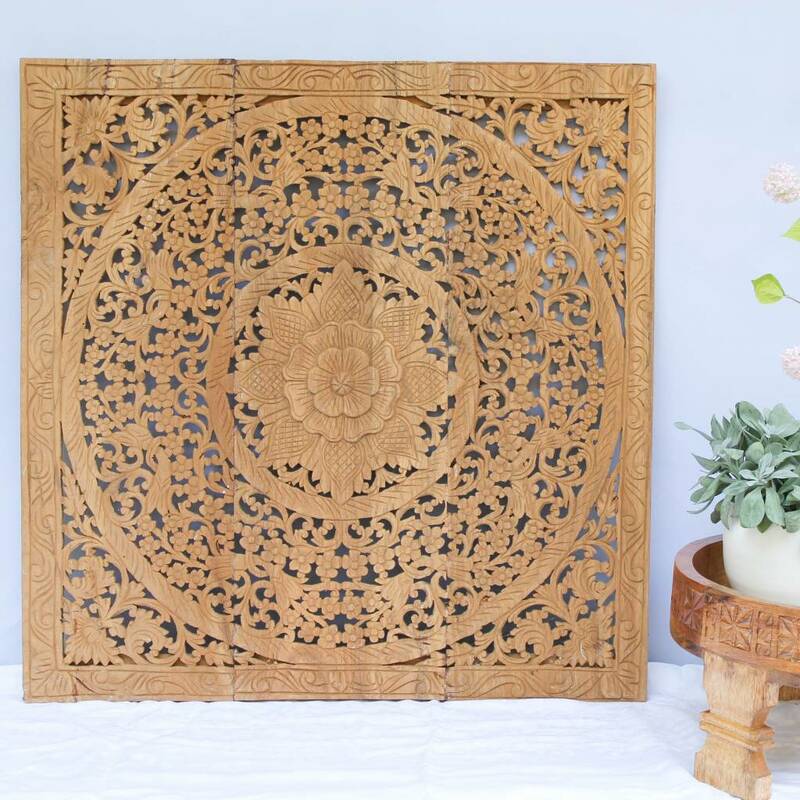 The stylish wall panel Design LOTO is hand carved by artists in the lush mountains of North-Thailand. 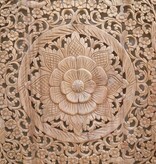 The wood carving shows a sacred lotus in full bloom. 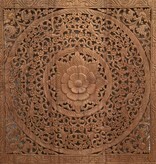 This flower is in many Asian cultures a powerful religious symbol for divine beauty. 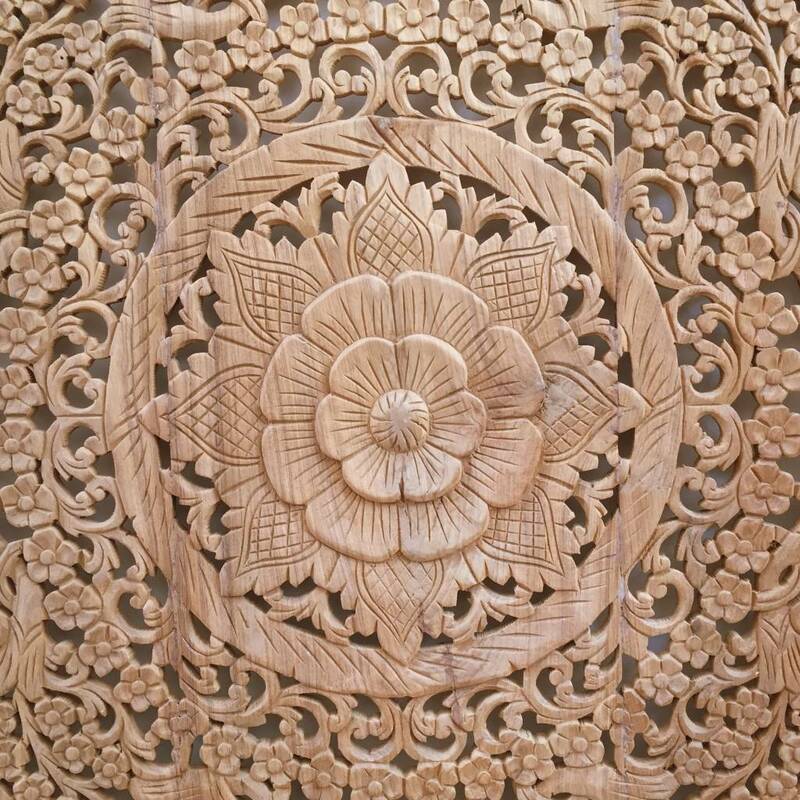 The Thai artists carve a small Design LOTO wall panel in a couple of weeks, the bigger versions take 3 to 6 months. 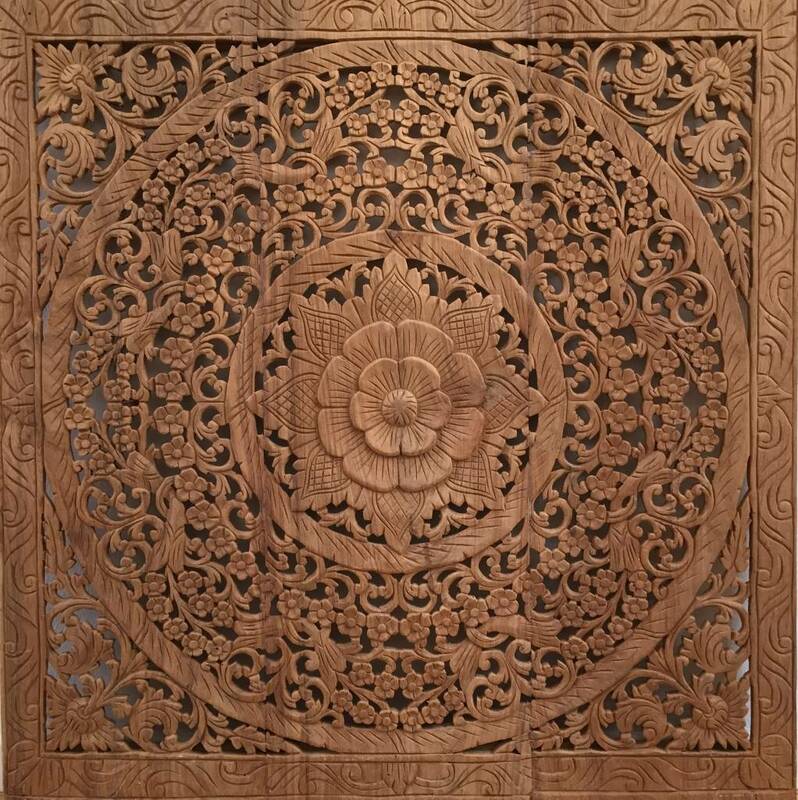 The trendy wall panels are suitable as decorations for a variety of rooms, such as a living room or bath room, but also an office or hotel room. 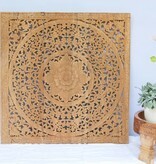 All Simply Pure wooden carvings are authentic and handmade of high quality and sustainable teak. 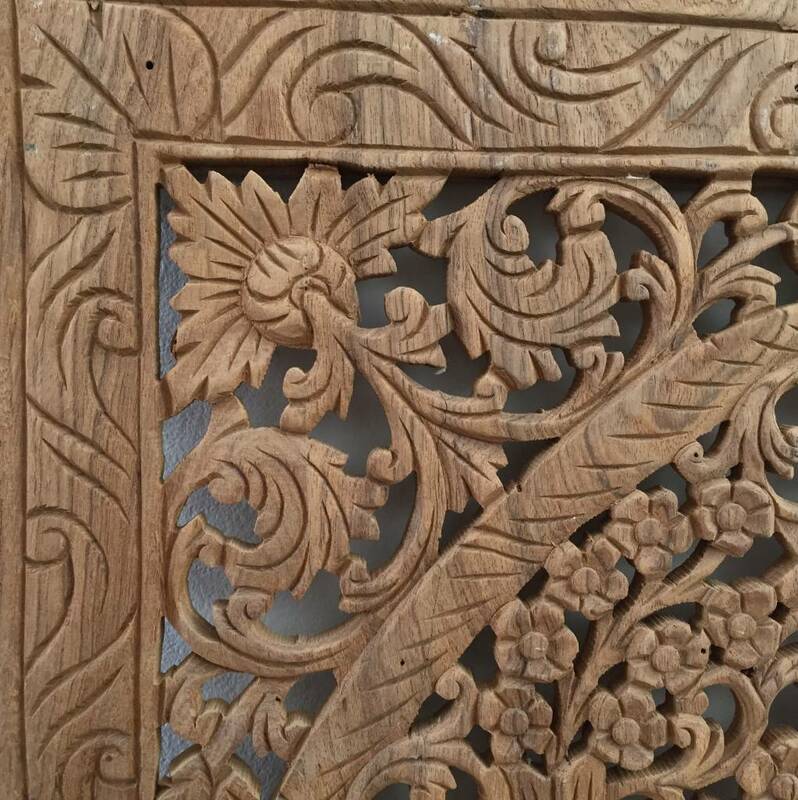 For the convenience of creating and sending, every wooden wall panel is carved in parts of 30 cm (12”) wide, all fitting perfectly with one another. 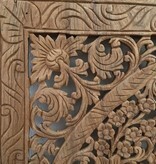 Because every object is unique, minor differences in colour and carving can occur. 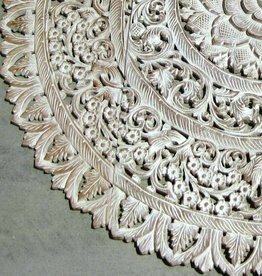 Hand carved by artists from the mountains of North-Thailand. Available in a variety of designs, sizes and colours.